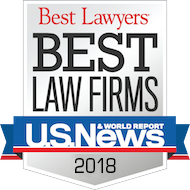 DFL Legal is proud to announce that founding partner John Dingess was recently selected to the America's Top 100 Attorneys,® joining the ranks of the most esteemed and skilled attorneys in all areas of practice throughout the country. Only 100 attorneys in each state are selected for this prestigious honor. Candidates for membership are selected through third-party research and peer nomination by other elite attorneys in the community and must pass through a multi-phase screening process to meet the selection criteria. This nomination reflects Mr. Dingess' skill and dedication to the practice of law over the last 30 years in the areas of construction and engineering, general commercial and international law.